Cummins is a 7 year old mostly white male. He is the son of International Champion Limited Edition. Limited Edition has championed in over 13 countries and earned the second highest honors of International Champion. Cummins is a proven stud with numerous litters. Cummins produces mostly white puppies and averages six puppies per litter. 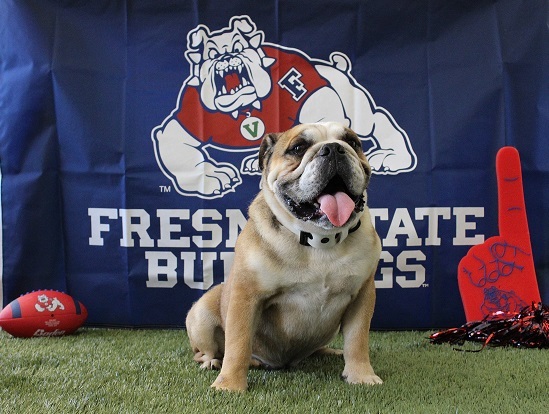 Itchky is the father of Fresno State’s Mascot Victor E. III. He has also sired several other famous bulldogs used in TV shows. He is fawn colored and specializes in producing mostly red and fawn puppies. He is not your typical fat bulldog. He is sporty and extremely athletic for the breed. Like most bulldogs he is loving and affectionate. Rusty is one of our larger males weighing in at 65 lbs. He is built solid and low to the ground. He has sired puppies with colors ranging from mostly white to all red. 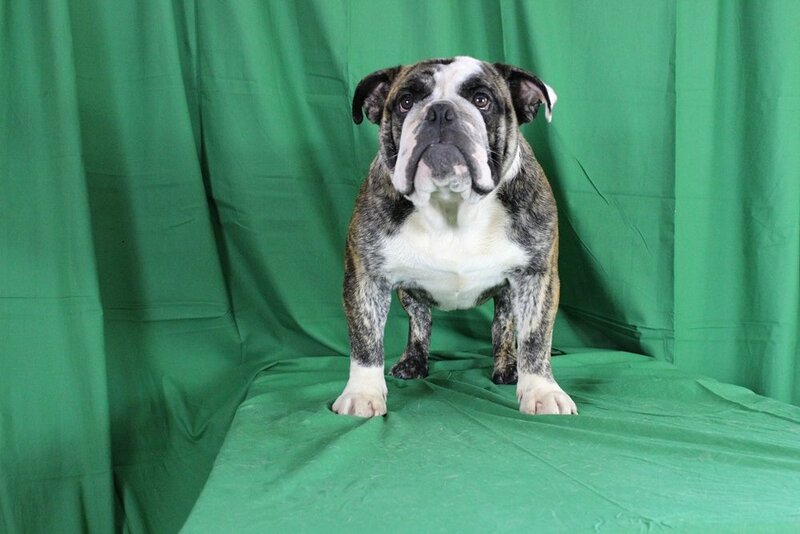 With over 12 champions in his pedigree he carries some of the most sought after genes in the bulldog world. Limited Edition is one of the top studs in the nation. He is the grandfather of the famous MTV stars Meaty and Ms. Beefy. He has sired several champion puppies and has received the second highest honor of International Champion. Limited Edition is the grandson of World Champion Merriveen Make My Day. Merriveen Make My Day is one of the top English Bulldogs ever produced and has received the highest honors in the bulldog world, World Champion. Limited Edition specializes in producing healthy, stocky, mostly white English Bulldogs. Mack is one of our most popular studs. Although all of our studs have great personalities, Mack has the best and it shows in his puppies. He has produced puppies that have been used in commercials and TV shows. He has 10 champions in his four generation pedigree including World Champion, International Champion, World JR. Champion, Bulldog of the Year, Crufts Champion, and English Champion. Tony is a beautifully colored brindle male. He is a direct brother of MTV stars Meaty and Ms. Beefy. He is a young up and coming four year old stud. He specializes in producing brindle colored puppies.